When people experience legal stressors, whether it is motor vehicle accidents, slip and falls, criminal charges or other civil cases, it is not uncommon for their lives to unravel. Matt's passion is to advocate for his clients and guide them through this stressful experience with the best possible results. "Matt's confidence and assurance was a welcome change from the other lawyers I was in touch with. I will forever be grateful for the help and counsel." - Anshuman S.
"Matt made my criminal charges vanish with such an amazing arrangement. He is reliable, trustworthy and main of all KEEPS HIS PROMISES." - Roxana B. "I have great respect and appreciation for both Steven and Matt. They know what they are doing, and they get the job done. I highly recommend the law firm of Altman & Altman." - Lon W.
He has been a member of the Altman & Altman team for over two years practicing in Criminal and Civil matters, with a focus on Litigation. 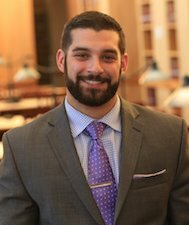 Being a litigator for Atman & Altman, Matt knows his way in and out of every district and superior court in Massachusetts. Matt continually keeps up to date with the ever shifting legal landscape, trends, verdicts and case law in both Criminal and Civil matters. He is a member of the Boston Bar Association and Massachusetts Bar Association. Growing up in Malden, Matt played football, lacrosse, baseball, basketball, soccer and was a member of the swim team. His parents figured that signing him up for every sport possible would leave him no time to get into mischief. While their thoughts and intentions were well founded, occasionally he still found a way to put that theory to the test. Matt attended Malden Catholic High School, where he was a varsity football starter as a freshman, three sport letterman by his sophomore year and captain of the lacrosse team as a senior. Malden Catholic helped him become the person that he is today and prepared him for every challenge that he has faced both personally as well as professionally. Matt is a self-proclaimed All American at adult co-ed slow pitch softball. His educational background includes a Bachelor's Degree in Criminology from the University of Massachusetts, where he wrote his thesis on Police Brutality and a Juris Doctorate from Suffolk University Law School. When he is not practicing law, he enjoys hosting barbeques and pizza parties, watching all Boston Sporting events, and going for hikes all across New England.